P is going to Delhi from Gurgaon by his car at a speed of 40 km/hr. While coming back, he returns with a speed of x km/hr. 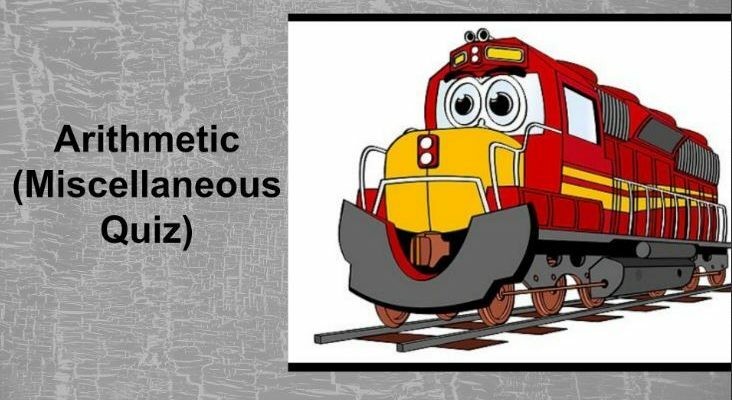 What should be the value of x so that his average speed during the entire journey is 80 km/hr? By selling 12 marbles for a rupee, a shopkeeper loses 20%. 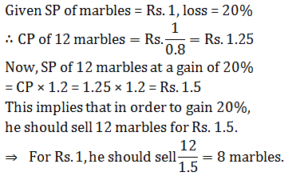 In order to gain 20% in the transaction, he should sell the marbles at the rate of how many marbles for a rupee? A reduction of 20% in the price of sugar enables a purchaser to obtain kg more for Rs. 160. Find the original price per kg of sugar. 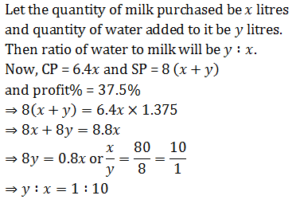 Find the compound interest on Rs. 18,750 in 2 years the rate of interest being 4% for the first year and 8% for the second year. At a simple interest Rs. 800 becomes Rs. 956 in three years. If the interest rate is increased by 3%, how much would Rs. 800 become in three years? 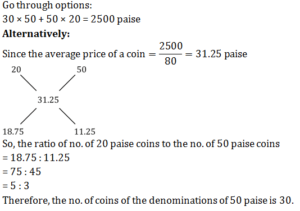 Let the prices of two houses A and B be Rs. 4x and Rs. 5x, respectively for the last year. 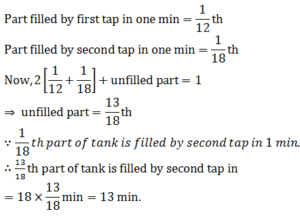 Two taps can fill a tank in 12 and 18 minutes respectively. Both are kept open for 2 minutes and the first is turned off. In how much more time it will take to be filled completely?